Following questions are the important Pteridophytes Test Questions for Papers. Students can utilize these questions in order to prepare for their exams. 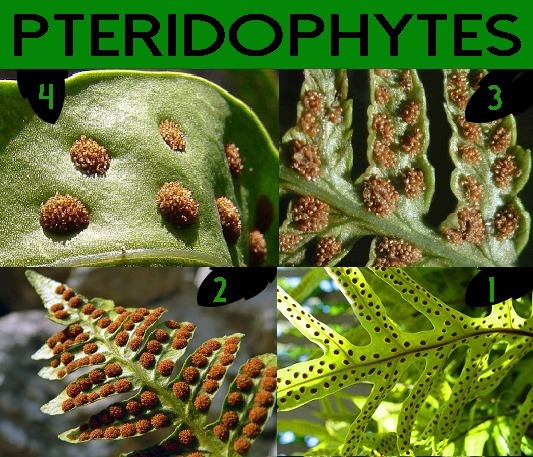 Ans: Pteridophyta is a group of ancient plants. They formed the dominant part of the earths during Palaeozoic and Mesozoic periods. Majority of Pteridophytes became extinct. They are preserved in the form of fossils or coal deposits. Only a few living Pteridophyta are left. Differentiate between Microphyllous and Megaphyllous? Ans: The sporophytes with small and scale like leaves are called microphyllus. The sporophyte with large and prominent leaves is called megaphyllous. Differentiate between phyllosporous and stachyosporous Sporangia? Ans: When the sporangia are borne on the leaves then the condition is known as phyllosporous. When sporangia borne in the axils of the leaves then the condition is known as stachyosporous. Ans: One or two peripheral layers persist for the nourishment of the developing spores. These nourishing cells form tapetum. Give alternation of generation in pteridophytes? Ans: The xylem is in the form of a solid mass in Protostelc It forms the central core of the stele. It is completely surrounded by the phloem. Pericycle and endodermis surrounds the phloem. Differentiate between Haplostele and Actinostele? Ans: The protostele in which xylem core is smooth and rounded is called Haplostele. The protostele in which xylem core is star like is called Actinostele. Ans: In plectostele, xylem forms several plates. These plates lie parallel to each other among the phloem elements. The protoxylem lies at the tips of the xylem plates or on one side. Ans: This is a type or siphonostele in which different gaps overlap with each other. In this case, several gaps are present at a particular level. Differentiate between Protoxylem and Metaxylem? Ans: In case of protoxylem, the tracheids are annular with spiral thickening. These tracheids elongates even after maturity. In case of Metaxylem, the thickenings on tracheids are scalariform in the form simple pits. They do not elongate after maturity. What are Exarch, Mesarch and Endarch? Ans: In case of exarch, protoxylem is lying on the periphery of metaxylem. In case of mesarch, protoxylem is lying in the middle of metaxylem. In case of endarch, the protoxylem is lying towards the inner side of the metaxylem. What is rhizome? Give its function? Ans: Rhizome is underground part of stem. Leaves and roots are absent on rhizome. Rhizome develops rhizoids for absorption of water. How fertilization occur in Psilotum? Ans: The neck canal cells of mature archegonium disintegrate. It produces a pore through which antherozoids enter the archegonium. Only one antherozoid fuses with the oosphere to produce oospore. Give alternation of generation in Psilotum? Ans: The stele is separated from the cortex by a wide air space. These spaces have long radiating cells called trabeculae. What is octant? Which structure does it give rise? Ans: The embryonal cell divides to form eight cells or octants. Two cells of the octants divide more rapidly. They produce an outgrowth called foot on one side. Foot is the chief food absorbing organ of the developing embryo. Give two evolutionary significance of Selaginella? Ans: The production of gametes, fertilization and the development of the embryo, take place on the sporophyte. Megaspore is never released from the sporophyte. Selaginella is heterosporous. The microspore produces the male gametophyte. It completes its development within the wall of the spore. Differentiate between, fertile and sterile branches of Equistem? Ans: Fertile branches are short and brownish in color. They are without lateral branches. Each fertile branch produces a cone or strobilus at the apex. The fertile branches are produced in the spring. These branches die after the production of cones. The sterile branches are green. These branches have numerous lateral branches. Sterile branches persist throughout the year. Give internal structure of leaf of Equisetum? Ans: Each mature root has a single layered epidermis. Cortex is composed of parenchymatous cells. Two layers of endodermis are present below the cortex. Cells of the inner layer of endodermis give rise to the secondary branches of the root. A definite pericycle is absent in roots. Stele is present in the centre. It is without pith. Give process of fertilization in Equisetum? Give structure of compound leaf of Adiantum? Ans: Adiantum has large bipinnately compound leaves. The main axis of the leaf is called rachis. The leaflets of the first order are called pinnae and leaflets of the second order are called as pinnules. Each leaflet is green and triangular. Ans: The young Leaves are coiled inward in the embryonic state. It is called circinate vernation. Give the walls of spores of Adiantum? Ans: Each spore has a three-layered wall. The outermost layer is perenium or epispore. The inner most layer is endosporium or intine. The middle layer is thicker and it is called exine or exosporium. How does fertilization occur in Adiantum? Ans: The antheridia and archegonia of the same at different times. So cross fertilization takes place. The antherozoids are chemotactically attracted towards archegonia. Several antherozoids enter the archegonium but only one of them fuses with the oosphcrc to form oospore. Give occurrence and common species of Marsilea? Ans: Marsilea is an aquatic or semi aquatic plant. It is common in the temperate regions. It grows in fresh water ponds and ditches in Punjab. Marsilea quadrifolia and Marsilea minuta are commonly found in Pakistan. Ans: Both types of sporangia are found within the same sorus. The sori are produced in hard fruit-bodies called sporocarps. Ans: Polypodium is a perennial herb. It is found mostly in temperate regions. It has worldwide distribution. Mostly is attached to some rocks. But some forms are epiphytic. Give structure of archegonium of Polypodium? Ans: The archegonia are also very numerous. Their neck is sunken in the prothellus. Each archegonium is flask shaped. It consists of curved neck and a venter. Neck is made up of several neck cells and one neck canal cells. Venter has single venter canal cell and oosphere. Give alternation of generation in Polypodium? Give structure of gametophyte of Polypodium? Ans: The spore germinates to produce monoecious gametophyte. Gametophyte is surface living. It is differentiated dorsoventrally. It has an apical notch. It is green and heart shaped. The ventral surface of prothellus has many rhizoids. Many antheridia are present among the rhizoids toward the ventral side of mature prothellus. Many archegonia are present near the apical notch.